England survived a thrilling fight back from Northern Ireland at the Little Swan World Cup, winning 4-3 to secure a semi-final place. 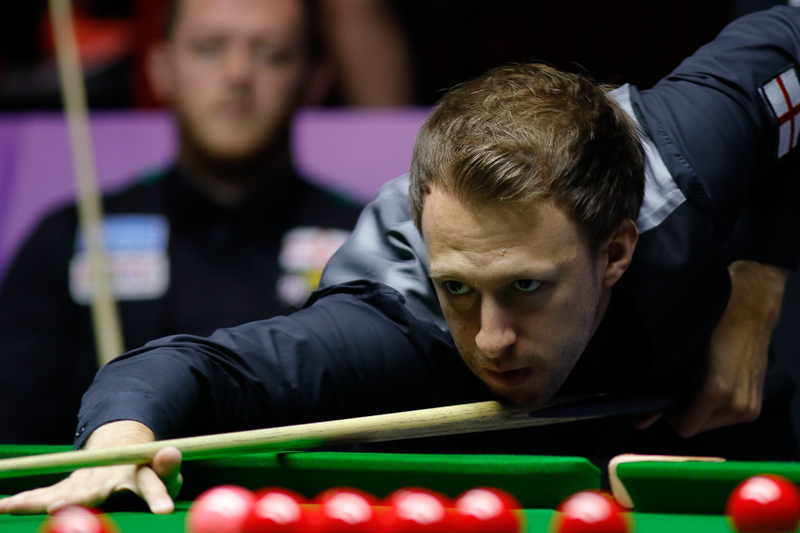 English duo Judd Trump and Barry Hawkins will now meet Belgium or China B in the semis in Wuxi on Sunday. Trump beat Mark Allen in the opening frame today then Hawkins beat Joe Swail. England won the doubles frame to make it 3-0. Back came Northern Ireland as Swail beat Trump, Allen beat Hawkins and they took the second doubles frame to level at 3-3. However Trump rose to the occasion in the decider against Allen with a run of 93 – the only break over 50 in the match. Thailand’s Thepchaiya Un-Nooh and Noppon Saengkham are also into the last four as they ended Iran’s run with a 4-1 victory. The first two frames were shared then Thailand won the doubles, before Un-Nooh compiled a superb 133 against Hossein Vafaei to make it 3-1. And Saengkham took the next frame against Soheil Vahedi to complete the scoreline. Thailand will now meet China A or Wales.